Jetbull Welcome Bonus: 100% up to 300 EUR’s! 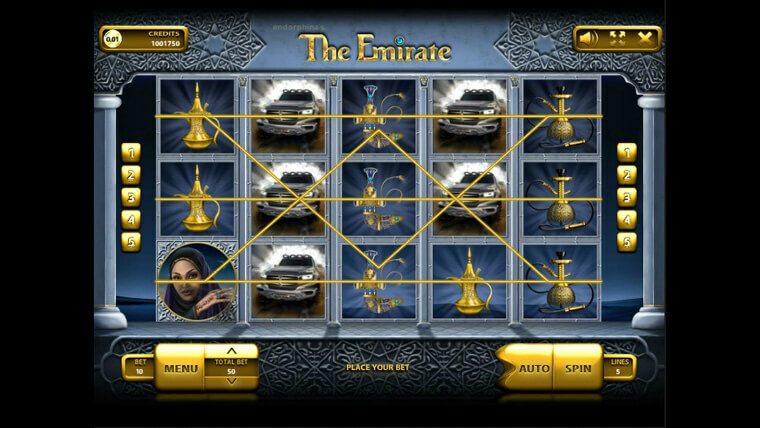 If when you think about online video slots you picture something that’s filled with gold and makes you think of expensive things, a luxurious lifestyle, supercars, fabulous cities and partying until dawn, then The Emirate video slot by Endorphina is just the kind of thing you should be playing. You’ll feel exactly like you’re in the Emirates. The only downside to this online video slot is that it doesn’t have any bonus features like free spins or pick-em games. It does have a gamble option that can help you double your money as well as an autospin feature so that you can stare at the reels and just watch the “story” unravel.